A rock climber’s hands can get some rough treatment. Pushed and twisted into cracks, grazed on course rock, cut and ripped on edges, worn down until the finger tips split and dried out by chalk and the elements. The results of this harsh treatment can be irritating and painful as well as impairing climbing performance. To help climbers keep their hands in working condition manufacturers from major companies to people working out of their kitchen have produced balms for climbers’ hands that aim to moisturise, revitalise and help skin heal. I’ve been sceptical about the merits of these balms in the past. Standard moisturiser from a chemist seemed ok and cheaper. Plus, using these balms looked more like treating a pair of leather walking boots than hand care. I shunned them despite my hands getting so dry that in winter the skin could split into painful little cuts if I didn’t keep working in the moisturiser. What persuaded me that I should give one of these balms a try was a day of gritstone climbing on a cold October day that left my hands as dry and cracked as a salt lake and covered in grazes red-rimmed with mild infection. I used a balm after another gritstone session and was converted by how good it made my hands feel and how my hands seemed to heal more quickly. I’ve been using balms ever since, even on days when I don’t climb. 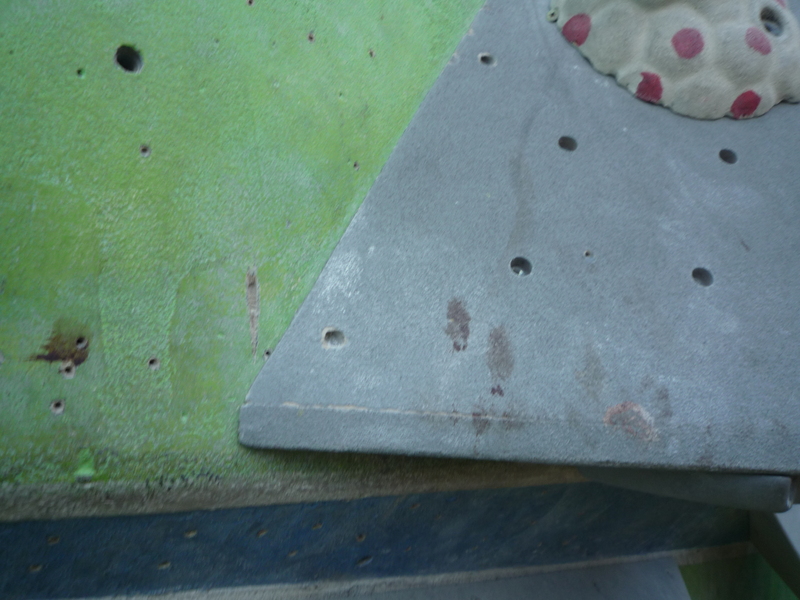 Bloody fingerprints on a climbing wall (not my fingerprints) demonstrate the damage climbers can do to themselves. The big difference between most of the rock climbing balms I’ve since tried and the moisturiser I had been using was that these balms are based on natural ingredients rather than petrochemicals. 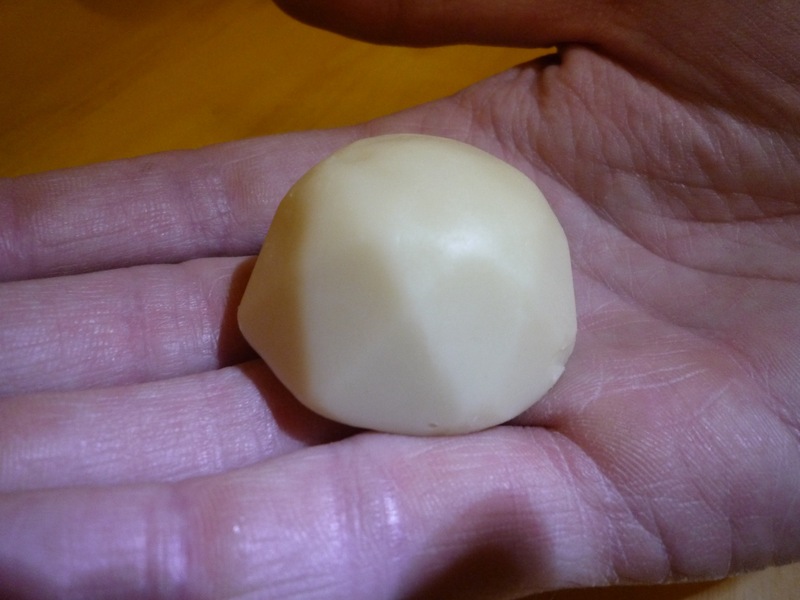 In particular, many of the rock climbing balms on the market have beeswax as their primary ingredient. This isn’t really surprising as beeswax has some amazing properties. Beeswax works as a moisturiser as it’s a humectant. This means that when applied to the skin it attracts moisture in the air, draws it into the skin and locks it in there so as to both treat dry skin and prevent skin drying out. At the same time, beeswax is said to help wound healing by being anti-inflammatory, anti-bacterial and anti-allergenic as well as being a germicidal antioxidant. Beeswax is also meant to be a source of Vitamin A and so good for cell development. Beeswax is even said to create a coating that protects the skin from the elements and irritants while not blocking pores. It does soften the skin and this may make beeswax a mixed blessing for climbers who could be trying to develop calluses that are hard enough to protect their hands, or keep their calluses under control so that they don’t loose sensitivity in their hands and run the risk of a sharp edge ripping a callus off in a chunk. Cocoa butter – a fat made from the beans of the cocoa tree. As well as being used to make chocolate, cocoa butter is an effective moisturizer and skin softener that contains antioxidants and Vitamin E.
Shea butter – a fat made from a nut that moisturizes and softens the skin and which contains Vitamin A.
Vitamin E – an antioxidant that helps to maintain cell structure by maintaining the membrane of cells. Lavender – as an essential oil, it certainly has a nice smell and some people say that it has antiseptic and anti-inflammatory properties. Almond oil – is quickly absorbed into the skin and is non-greasy. It moisturizes by trapping moisture in the skin and contains Vitamins A, D and E. Some people use it to treat and sooth skin allergies. In thinking about how to test the effectiveness of some of the balms on the market, my wife suggested an approach that reminded me of the research of Donald Unger. Unger won the Ig Noble award for medicine in 2009 for his research examining whether his mother was right when she warned him that cracking his knuckles would cause arthritis. This warning prompted Unger to crack the knuckles on his left hand twice a day but to not crack the knuckles of his right hand. He did this for sixty years and never suffered arthritis in either of his hands. My scientifically trained wife’s take on this approach was to suggest that I bash-up both of my hands, but only apply the balm to one. The other hand would be the control – left to dry into an infected prune in order to allow me to accurately judge the balm’s effectiveness. While I appreciated the rationalism of this suggestion, I didn’t follow the advice. I tried a variety of different balms both after climbing and winter hiking as well as during a normal (climbing-less) day. In doing so, I considered several different measures of the effectiveness of each balm and gave each a score out of ten (with 1 being poor and 10 being fantastic) against each measure. 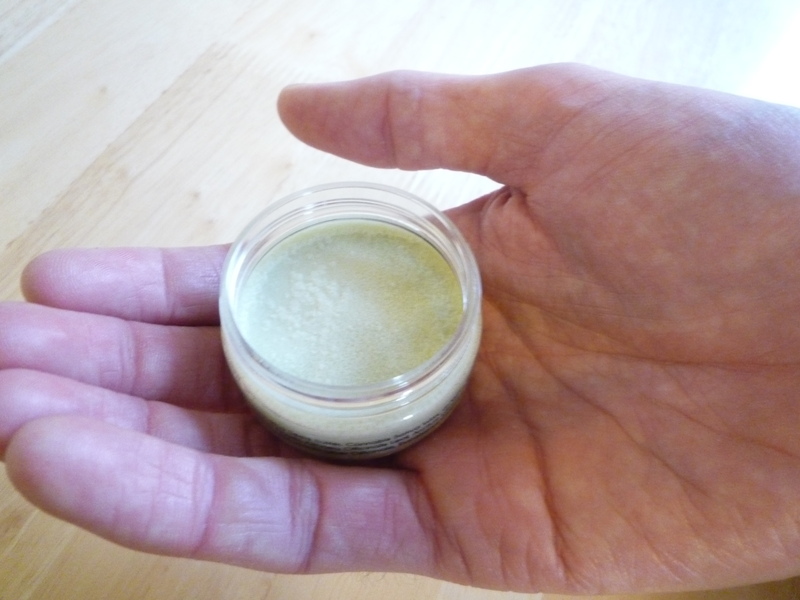 Application – how easy the balm is to apply to the hands. Absorbency – strictly speaking, beeswax isn’t absorbed into the skin, but some of these products are better than others at leaving your hands feeling oily and this is what this measure is about. Longevity – this is about how long the balm will keep your hands feeling nice and not dried out as you go about your day. Things like washing your hands does limit how long these balms seem to work for, but some seem to keep working better than others. 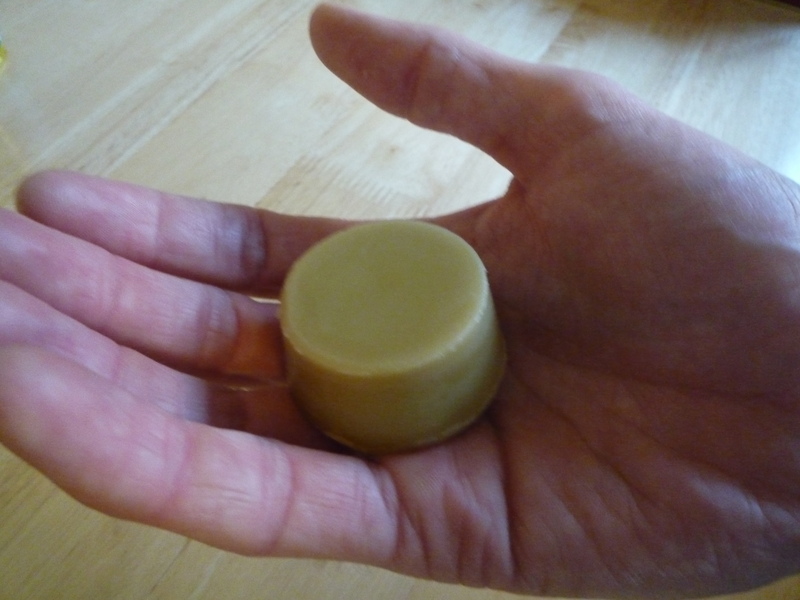 Smell – this is my estimation of how pleasant, or not, the balm smells. It’s a pretty subjective measure, as you and I may have very different ideas of what smell nice, but it’s important to consider as it’s your hands that will smell this way once you put the balm on. Ingredients: unrefined yellow beeswax, apricot kernel oil, lavender, grapeseed oil, virgin wheat germ oil, essential oils of lemon, neroli and vitamin E.
Climb On is easily the most widely available balm on the market and it deserves this market position as it works very well. As a puck, Climb On is easy to apply by rolling and rubbing around your hands. Although initially a little bit oily, this oiliness goes entirely after about five to ten minutes to leave hands feeling soft and fully moisturised. The smell is unobtrusive and gentle and neither obviously feminine or masculine (although Climb On have felt the need to bring out a version for those climbers who want their hands to smell more masculine). I can also put it on in the morning and still be reasonably confident that my hands will be in a good condition by the end of the day. Ingredients: beeswax, almond oil, apricot oil, shea butter, cocoa butter, mango butter, St John’s Wart, calendula, chamomile, chickweed, plantain, comfrey leaf, olive oil, aloe vera, jojoba, wheat germ and a blend of tea tree and lavender essential oils. This balm is particularly oily and I wouldn’t recommend trying to use a smartphone after applying it. Strangely, despite this oiliness, I’ve found that it is fairly poor at stopping my hands from drying out later in the day. 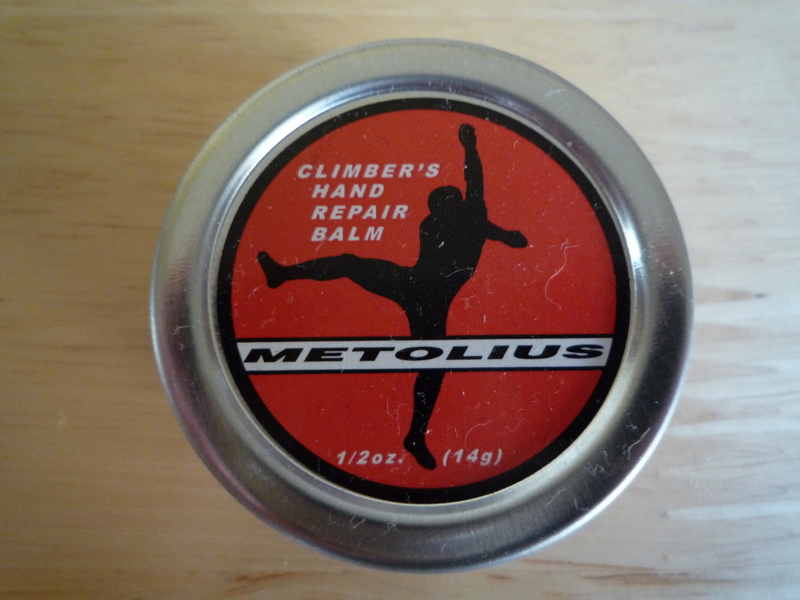 The Metolius balm doesn’t come as a puck like Climb On, ProBalm or the Castle Balm, but is in a tin. I found this harder to use than a puck as I had to use my rub my fingertips on this balm and then use my fingertips to apply the balm to my hands. The small tin (0.5oz) that I picked up was particularly fiddly in this respect and, if you were buying some, I’d recommend getting the larger size. On the positive side, the Metolius balm has a lovely, subtle smell that is easily the best smell of the balms I’ve tried. Ingredients: beeswax, jojoba oil, grapeseed oil, comfrey infused almond oil, petitgrain essential oil, patchouli essential oil, tangerine essential oil, black pepper essential oil, cypress essential oil, benzoin essential oil, mixed tocopherols (Vitamin E). 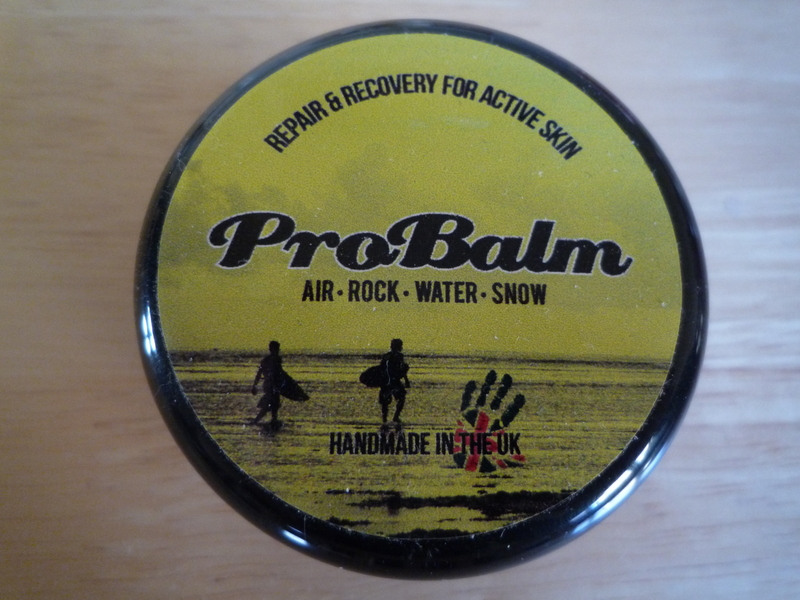 The most striking thing about ProBalm is its strong, pungent and medicinal smell. This smell hits you as soon as you open the tub and it both travels and lingers after it’s on your hands, so much so that my wife doesn’t want to come near me when I’ve put it on. In fact, this smell lingers so much that I’ve found that just one wash of my hands with soap and water isn’t enough to get rid of it. However, if you (and those around you) don’t mind the smell, then ProBalm works very well. This is the least oily of the beeswax pucks I tried and any oiliness is gone after a few minutes. It also kept my hands in great shape and feeling very nice for the rest of the day. Ingredients: cannabis sativa seed oil; garcinia indica seed butter; cannabis sativa wax; d-alpha tocopherol (vitamin E); extracts of calendula officinalis flower, helichrysum arenarium flower, althaea officinalis leaf arctium lappa leaf; and essential oils of lavandula angustifolia, pinus palustris, zingiber officinale, eucalyptus globulus, comiphora myrrha and styrax benzoin. Tip Juice is made by hand in pots and pans in a kitchen in Scotland and this homebrew is really effective. It’s easily absorbed into the skin, with little oiliness and gives hands a lovely, smooth feel. Tip Juice has a sharp, citrus smell that isn’t overpowering, but may or may not be your taste (I quite like it, but my wife doesn’t). Tip Juice lives up to its name in that it is really only possible to apply to and/or with your fingertips. It comes in a small pot and, like the Metolious balm, this makes application more time consuming. Using your fingernail to scrape some up and then applying this to the hands speeds up application. I really wish that Tip Juice was available as a puck and would give it a higher score for application if that were the case. Tip Juice isn’t a beeswax balm, but uses garcinia indica seed butter, a fat that is said to have properties similar to cocoa butter and to be both an antioxidant and source of Vitamin E.
Some of the other ingredients might attract some people’s attention, but this balm isn’t going to take you higher than your climbing abilities allow. Cannabis sativa seed oil and cannabis sativa wax are derived from hemp and so are typically from plants that do not contain significant amount of THC. They are high in omega-6 and omega-3 essential fatty acids (which are meant to be good for your skin) and protein as well as containing lots of vitamins and minerals. Ingredients: water, coconut oil, almond oil, cocoa butter, sunflower oil, St John’s Wort oil, comfrey oil, marigold oil, essential oils of clove, tea tree, lavender, myrrh, sterol alcohol, emulsifying wax, tween, parabens and vitamin E.
Sypeland’s is made in Yorkshire and developed with climbing sessions on the area’s rough gritstone. With that background, it’s not surprising that it works very well. Sypeland’s is quite different to the other balms I tested. Its ingredients (particularly the primary ones of water, coconut oil, almond oil and cocoa butter) and the fact that it’s a cream means that this balm is more like a traditional moisturiser than the other balms on test. It also doesn’t have beeswax as a primary ingredient. The cream reminds me of a mousse in being light and almost whipped in consistency. It’s quick and easy to apply and works well even on very dry hands. You also need surprisingly little of this cream for it to be effective at moisturising your hands and giving them a pleasant feel. It’s important to get the amount you use right as you can find your hands being oily for quite some time if you use too much. Sypeland’s has quite a complex and strong smell that some people don’t like and slightly more people do like. The smell of cloves is prominent and this meant that when I used it in December people described the smell as Christmassy. Ingredients: beeswax, marigold petals, plantain leaf, comfrey leaf and root, infused in organic sunflower oil plus essential oil of cedarwood. 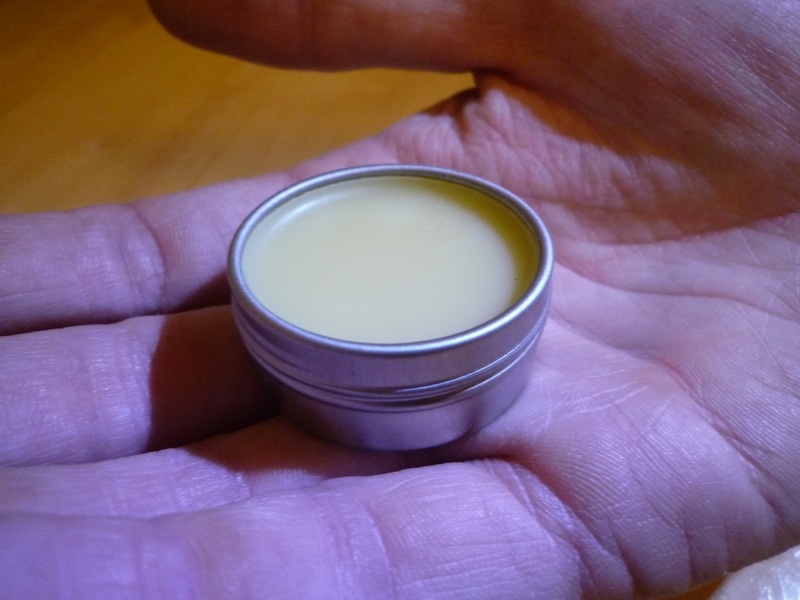 The Castle Climbing Centre in London makes this balm in its kitchen using beeswax from its hives and herbs from its garden. I particularly like that I know the origins of this balm and that it’s so straightforward (its list of natural ingredients is pretty short). This balm is slightly oily, but this actually helps with applying it and the oiliness goes after about five to ten minutes. It’s also a solid performer in terms of making hands feel good and keeping them in good condition throughout the day. It’s available in two types – a cedarwood balm and a rose, geranium and lavender bloc balm. I tried the cedarwood balm and found the smell a bit too strong and not really to my taste, although my wife likes the smell. The Castle balm comes with a wick so that it can be used as an emergency candle. I’m not convinced by this idea. I can’t think of when I’ve ever needed an emergency candle (I use a torch) and the buried end of the wick is a little bit scratchy once it becomes exposed after using the balm for a while. Strangely, the end of the wick that you would light hasn’t bothered me in the same way. 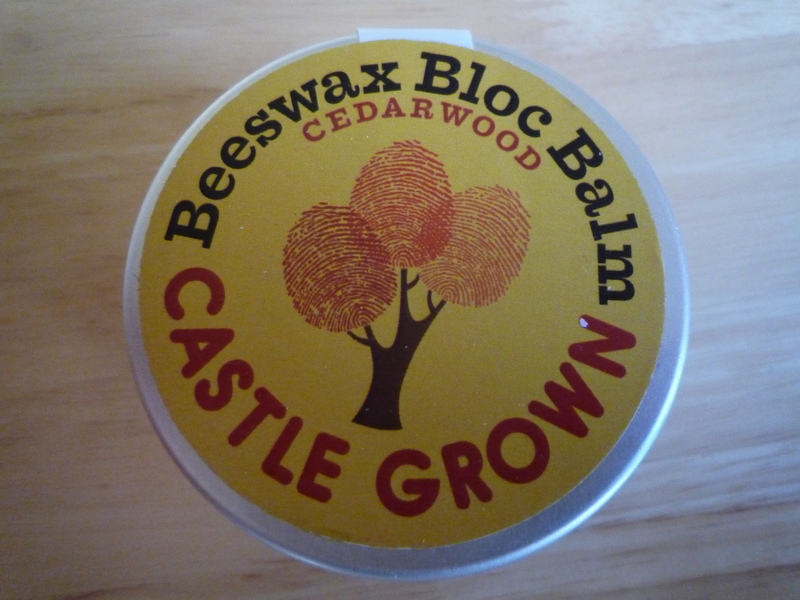 This balm is only available from the Castle’s own shop in North London, but this just provides another reason to visit this great climbing wall. 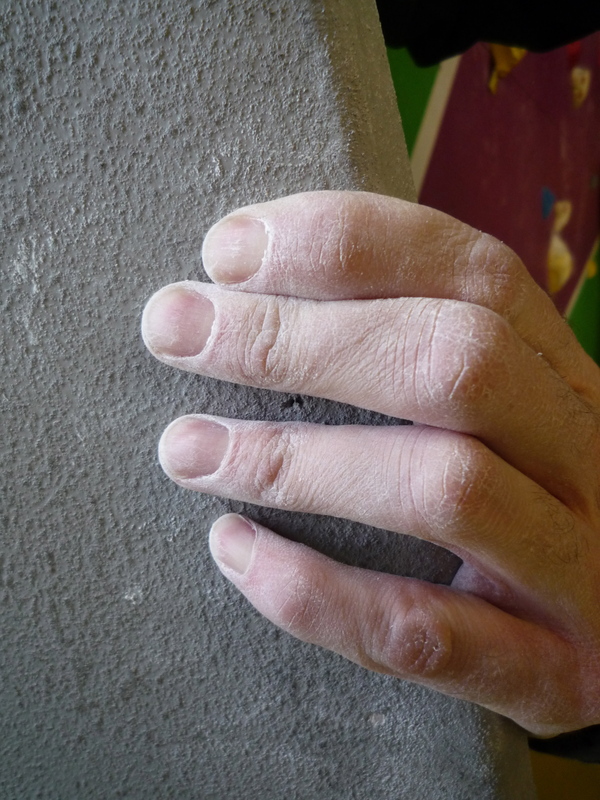 There are useful articles on how to a rock climber should care for their hands on the UK Climbing and Climber websites. 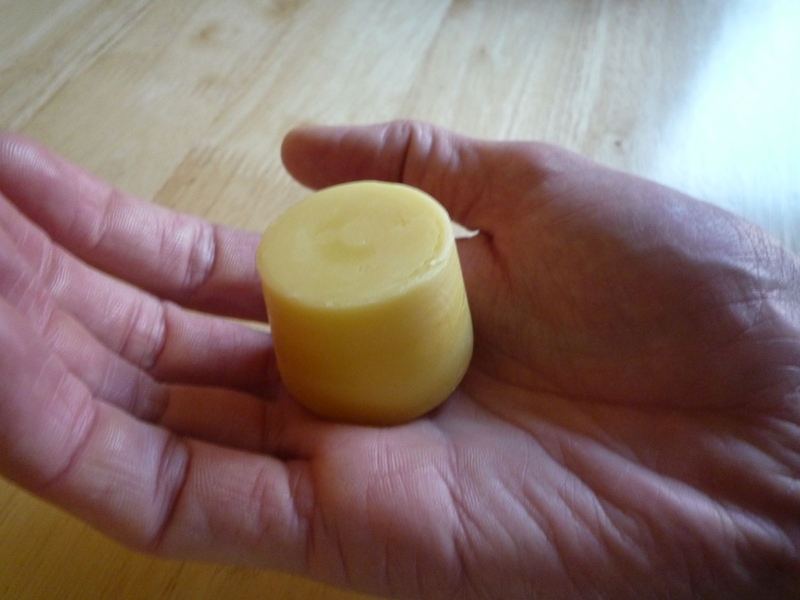 If you are interested in making your beeswax balm, then there are instructions on the Humblebee and Me blog. UPDATE: 23 January 2015 – I’ve written a review of the excellent Beta Balm which you can view by clicking here. 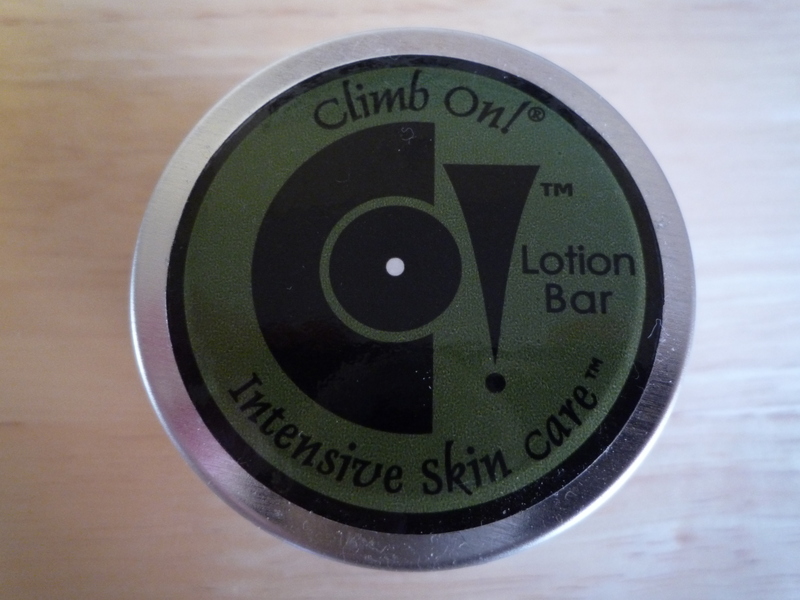 UPDATE: 28 March 2015 – I’ve also now written a review of the brilliant Climb On Adventure Bar (AKA Climb On, Men) and the Climb On Creme Lite. UPDATE: 21 August 2015 – The people who make the ClimbOn range of skincare products also make another range called crossFIXE. 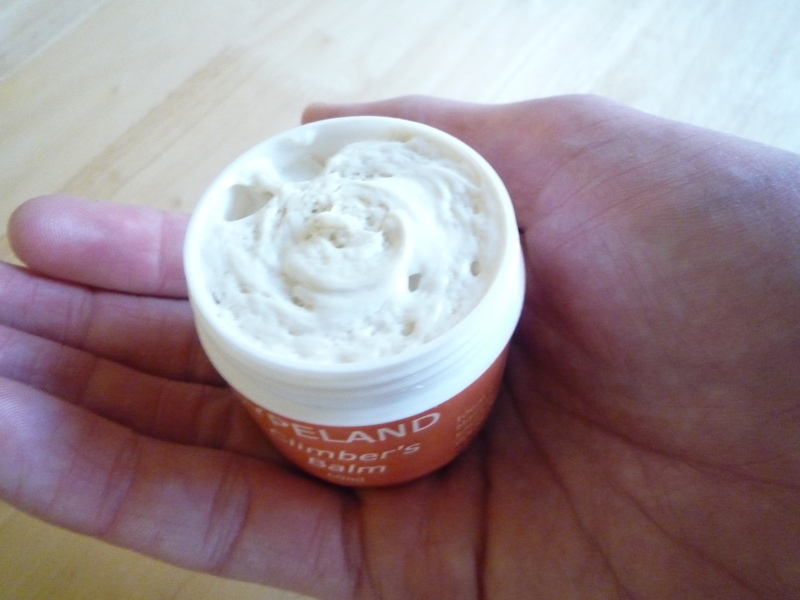 I’ve written a review of the crossFIXE hand creme, muscle paste and hand balm. UPDATE: 19 July 2016 – I’ve written a review of the great selection of balms available from Giddy. UPDATE: 8 June 2017 – Giddy also make a joint, muscle and tendon balm and I’ve had a chance to review it. UPDATE: 15 December 2018 – I’ve written a review of KletterRetter hand cream for climbers. Great article! Have you tried J-Tree balm or Elemental Herbs’ All Good Goop? I’ve not tried them – are they good? It’s funny that there seem to be some balms in the US that don’t seem to make it over here and I suspect some of the UK made balms I reviewed aren’t well known in the US. It looks like I can give them a try though as they sell online. It’s great that there’s such variety out there. The European Union (which includes the UK) has much stricter guidelines than that United States in terms of ingredients. Many of the balms sold here (in the US) would not pass in the EU for sale. There’s very little regulation when it comes to skin care products in the United States. For example, the EU doesn’t allow products tested on animals. I don’t want to specifically call out any products so I’ll leave it at that. SKINourishment products have been proudly sold in the EU for more than 10 years. 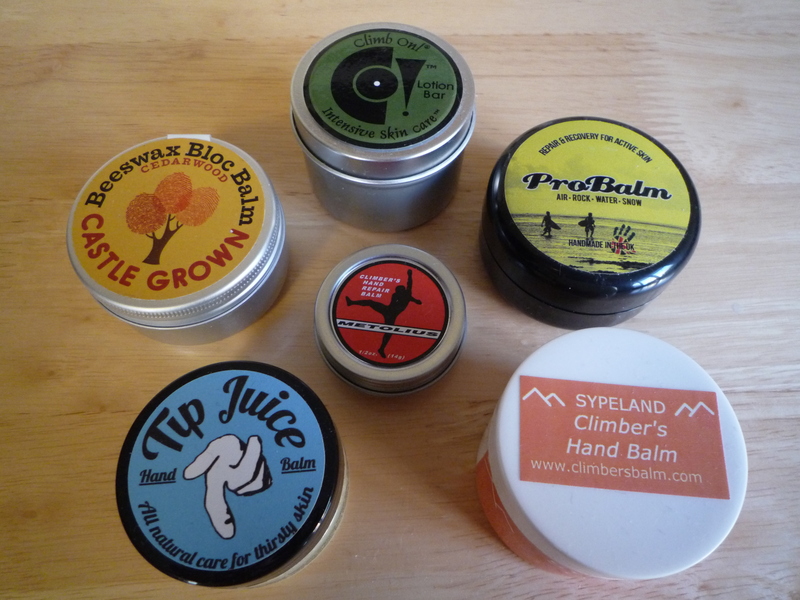 Thanks for the review of Sypeland Climbers Balm. I had no idea that this review was being done and I’d like to wish you all the best. Thanks for making such a good balm. I was using it last week when I was bouldering in Fontainebleau and it worked really well. 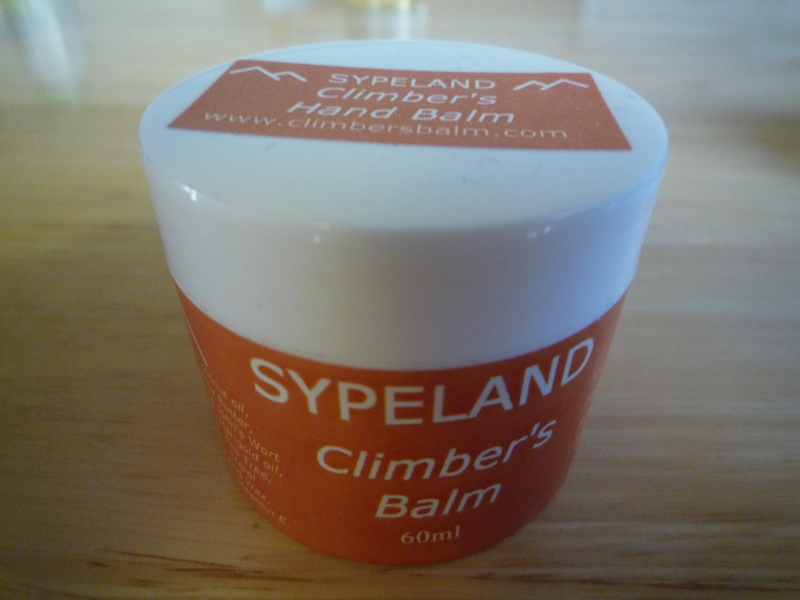 Sypeland climbers balm fantastic for feet too, the best! Thanks for the tip. I’ve not tried Sypeland’s on my feet before, but I might give it a go. Totally brilliant give it a go. Thanks for the review! I really enjoyed it and the awareness of the various balms in the UK. I second the reference to Joshua Tree Climbing Balm and have used it for years. Recently, it was bought by another person and moved to Michigan. I can’t say if it’s better or worse yet, but years ago it really made a difference when it came to recovering from splits and thin skin. Once, while in Squamish, I split a tip, and in 5 days was climbing full strength on that tip. I’ve never had that kind of success with other balms. Thanks. I’m really pleased that you like the post. With the endorsements it’s getting, I’m seriously tempted to try the Joshua Tree Climbing Balm now. Thank you for such comprehensive look at climbing balms in the UK! We really appreciate you taking the time to break it all down. We just stumbled upon this post and are so humbled to held in such high regard. We have worked really hard since 1996, and we won’t stop, to bring the highest quality skin care products we can offer to the world. You will find a lot of the balms that you don’t find in the UK that are in the US aren’t of the quality of ingredients. Therefore the market doesn’t accept them and in some cases regulations won’t allow them! We are so lucky to be leaving out of dreams from the same small warehouse we got our start in. We really look forward to continuing to push the US skin care market to the standards of our friends across the pond. Thanks and cheers for the re-blog. Totally my fault, I saw Alex at the top. My apologies Robin. Would you be interested in reviewing Beta Balm? Beta Balm looks interesting and I’d be interested in reviewing it. I’ll email you my details directly. Would you be interested in trying Giddy? I’d love to see how we stack up against everyone! We can get a package out to you if there is interest! I’d definitely be interested in trying Giddy. I’ll directly email you my details. Thanks. I’ve heard of Giddy, but not had a chance to try it yet. One thing about reviewing hand balms is that I build up quite a stock pile of them. I’ve nearly worked my way through that pile though and might give Giddy a go then. Hello Robin, why don’t you let me restock some climbers hand balms, shoot me an email and I will get a few GIDDY balms out for you to play around with. Designed by climbers, for climbers. Thanks Ben. That’s great. I’ll send you an email. Great article! This is really good info. Would you be interested in trying out Aussie Climb Wax? We’re a small startup based in Dallas, TX. We’re trying to get some good pro reviews and get the word out about our balm. I’d never describe myself as a pro, but I’m happy to try out the balm and write a review. Okay awesome! If you want, go ahead and shoot an email over to XXXXX [edited by moderator] and I’ll arrange getting some sent to you if that works. Excellent article – although I am disappointed that you didn’t use the Unger methodology (kidding!) What a guy! 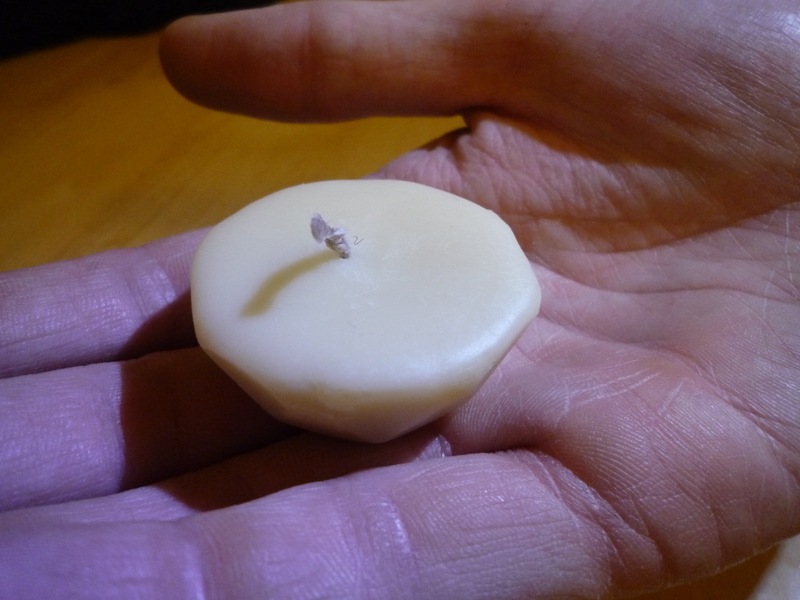 I love multi-functionality; a hand balm candle… Hmmm. Thanks for your hard and diligent work. I might seek out the rose, geranium & lavender! ClimbOn is great. I used it this summer to treat chapped heels (probably caused by lots of wearing sandals in the hot weather) and it cleared the problem up in a few days.